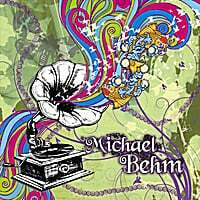 Right around the time 2008 became 2009, Michael Behm released Saving America, one of the better power pop discs of last year. It got a lot of love in the power pop community, but since that time he's been quietly releasing a new track every month or two and in the process amassed the equivalent of another new disc. These tracks are quite good, and make for a worthy followup to Saving America. The particular standouts in my book are the rocking "The Remaining Go", and the MOR pop of "You're My Wonderful". Check 'em all out below. These are all digital-only releases, and can be found at iTunes as well as other digital retailers. 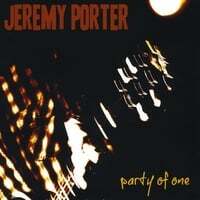 Jeremy Porter-Party of One. Party of One is a fitting title for Jeremy Porter's new release, considering he's now gone solo from one of Detroit's top power pop bands, The Offramps. For those who enjoyed that band, you'll be glad to know that Porter doesn't stray too far from their sound, although the results are a bit more singer-songwriter-y; think Westerberg solo vs. late-period 'Mats, and he even reprises a 'Ramps classic, "Hallmark Holiday". Highlights here are "Last Time I Saw You Happy", a midtempo number that really does channel PW; the acoustic "Dead on Your Feet", and the rocking "Out Inside". A must for Offramps fans, and worth a listen for the uninitiated as well. The Malibooz-Queens' English. The Malibooz have been around on and off since the mid-60s, and are co-founded by Walter ("Magnet and Steel") Egan. They've released on average an album per decade, and 2010 sees Queens' English, their first since 2002's Beach Access. Given their 60's roots, the sound here is classic British Invasion material, and they manage to pull off the sound without sounding too slavish. They've amassed quite a lineup of guest stars on this disc, including *the* Spencer Davis, Andrew Loog Oldham, and ex-Hollie Tony Hicks. It's one classic-sounding tune another, from the jangly "Hey Love" to the harmonies of "Just a Little Bit" to Egan's haromnica-fueled rave-up "A Bit of Awright" and the Merseyside pop of "Factory Girl". If your pop proclivities extend to the British Invasion sound, this may well end up your disc of the year. Now here's a disc with an interesting backstory. 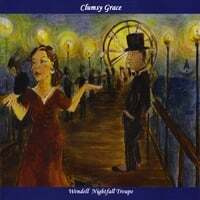 Released last year to little fanfare (it flew under the radar of the power pop community), Wendell Nightfall Troupe's Clumsy Grace is a collection of 1974 recordings by Norbert Wabnig and Richard Duncan, two musicians who moved from New Orleans to Los Angeles that year and laid down some tracks, and may have recorded the best early ELO album that Jeff Lynne didn't have a hand in. These days, Wabnig is the owner of The Cheese Store of Beverly Hills, and he finally got an album from the sessions out last year. WNT manage to capture that early ELO sound quite well - a mix of pop, classical and rock with a Euro sheen. Opener "Stardumb" takes a cynical look at their new LA home (the title is a play on the word "stardom") with a melody that could have been a precursor to ELO's "Across the Border" and a sound that's also reminiscent of The Nines. The title track follows, goofy 70s excess and all, and almost sounds like a template for Jellyfish. "Take a Chance" is Eurodisco and fun as all get-out, and "You're Not Listening" has an "Evil Woman" vibe to it. "Hollywood Boulevard" is probably the most ambitious thing here, playing out as a kind of "MacArthur Park", going from quiet orchestrated moments to a guitar freakout and back again. Not that there aren't a few clinkers. "There's Something Wrong" comes off as one of those over-earnest pre-disco Bee Gees tunes from the late 60s/early 70s, and "Stars in Manhattan" meanders to no particular destination. But it's a highly interesting (and highly enjoyable) unearthed artifact from the 70s, and fans of early ELO and baroque pop are going to love it. Alex Chilton remembered in Congress today. Feelin' like a hundred bucks tonight, indeed. Rob Laufer should be a bigger name in power pop circles than he is. As I wrote in my review of his previous disc, 2006's The Iron Age, "Rob Laufer is a pro. A pro's pro, in fact. He's played George in Beatlemania, he's played with Frank Black and Fiona Apple, he's produced, he's written for commercials, and he wrote "Reactionary Girl" (a great track) for Robin Zander's first solo disc." The Zander connection continued as he played live with Cheap Trick on their Sgt. Pepper DVD. Perhaps his problem is that his solo discs are few and far between; Excruciating Bliss is only his third disc over a 15-year period. On the new disc, Laufer branches out a bit from his Beatles/Marshall Crenshaw/Jon Brion template to incorporate some contemporary pop stylings. Not that's he rapping or going American Idol on us, but opener "Come on Sunshine" makes use of some almost Beck-like psychedelia, and "Bad Math" has an acoustic punk feel to it. That's not to say that Laufer has abandoned the hook. Far from it, as "New Life" is "She's Leaving Home" on steroids; "Faith" is the kind of Macca-influenced number that David Grahame is famous for; and "Mary Entertaining" is 3:35 of vintage power pop. Other highlights include the Michael Penn-like "Tears of Home" and the driving, catchy "Someday I Know". It's too bad we have to wait an average of 5 years for new Rob Laufer music, but 2010 is our lucky year. It's available now on CD Baby and will get a wider release on April 6. UPDATE (4/6): Lala embed and iTunes link now available. Over the past couple of months, I've recommended a bunch of discs on my Twitter feed that I haven't reviewed here on the site. It's possible that many of you haven't caught all these or missed them otherwise so I figured I'd gather a few of them here in a proper post on the site, and add Lala embeds that obviously don't fit into Twitter's 140 character limit. There are too many to do in one post, but I will periodically do these Twitter roundups for completeness' sake. LA's Rich McCulley has been one of the more reliable roots rockin' power poppers over the last decade or so, and he's reached a career pinnacle with Starting All Over Again, a disc whose title derives from the personal losses McCulley has sustained after former girlfriend Amy Farris and close friend/co-writer Duane Jarvis (both of whom were artists in their own right) passed away last year. McCulley has closely worked with Todd Herfindal and The Meadows as well as being a founder of the Oasis-influence side project The Mains, and his pop sensibilities shine through in his roots rock. Opening track "Tell Me, I'm Listening" (co-written with Herfindal) is Exhibit A for this thesis, a highly melodic track that Meadows and McCulley fans will both love. "Dreams Tonight" is an excellent "Take It Easy"-style number, and "The Last Song" boasts an infectious melody as well, although here's hoping McCulley doesn't follow through on his promises in the lyrics. Elsewhere, standouts include "Who'll Hang the Moon? ", his soulful tribute to Jarvis, the rockin' "Nowhere", the John Hiatt-esque "Waiting on the Sun", and the lively "Falling Apart". 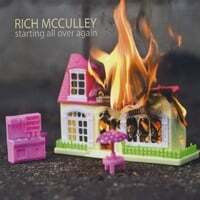 Roots-pop/rock albums don't get much better than this one, and McCulley has outdone himself here. Pilot Error is the first new music we've heard from Toronto's Creighton Doane since 2004's Learning More and More About Less and Less, and it's a first-rate slice of power pop and an early contender for 2010's top EP. Doane will appeal to fans of Butch Walker, Owsley and Jason Falkner with his somewhat "modern" spin on power pop; the driving "I Know" opens the EP with plenty o'guitars, synths, and percussion and manages to insinuate its way into your head. 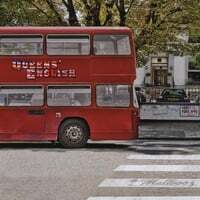 Making a 180 degree turn, the power ballad "Winter" follows and could have been a hit in the 80s, and the bouncy "Change" would have been at home on B.Walker's latest. Elsewhere, the rocker "Stupider" hammers home the same theme as the title of his previous album ("the more I know/the stupider I am"), and "F the F'in Fs" is a marvelous Bryan Scarey-esque pop concoction with a foul mouth, and "Had Fun" is an excellent catchy ditty, even if you'll find yourself accidentally singing "we had seasons in the sun" when the chorus rolls around. I often close my reviews with bad puns, and this may be the worst: you Doane want to miss out on this one. You can also head over to his Bandcamp site for a lost track from Learning More and More. 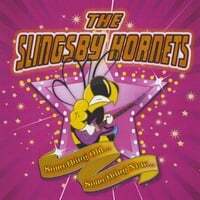 The elusive Frank E. Slingsby has emerged from his undisclosed location to unleash another Slingsby Hornets disc upon the world. OK, there really isn't a Frank E. Slingsby, but there is a Jon Paul Allen and he's back with his third full-length in little over three years time. Lovers of glam-inflected power pop will want to be all over this one, as Allen once again mixes obscure covers and his own originals in a winning mix. Among the originals, "Gettin' Better" is of a piece with those 70s covers, a trippy track that has Noel Gallagher written all over it; "She's the One" is punchy power pop; and "Flower in the Rain" has the sound of a lost early 70s classic. Frankly, if you're not familiar with the covers, you couldn't tell the originals apart from them and that's a high compliment to Allen.